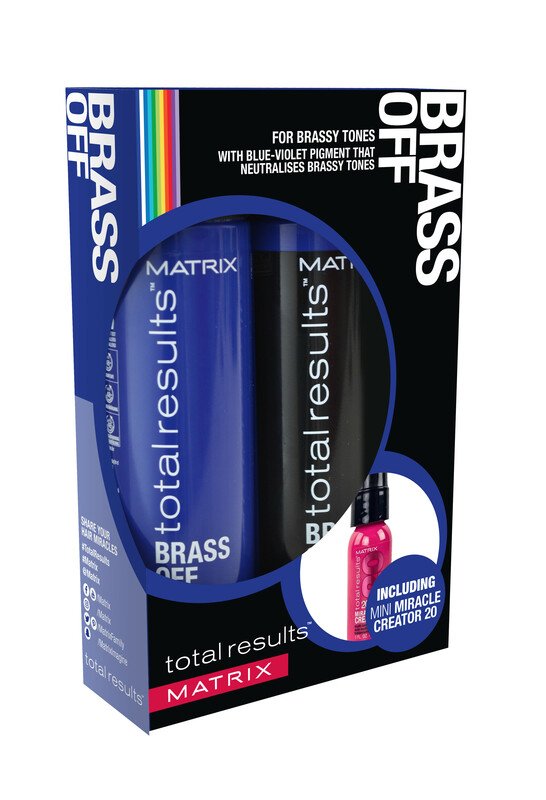 If your looking to neutralise brassy tones and refresh your colour, then Matrix Total Results Brass Off Kit is for you. 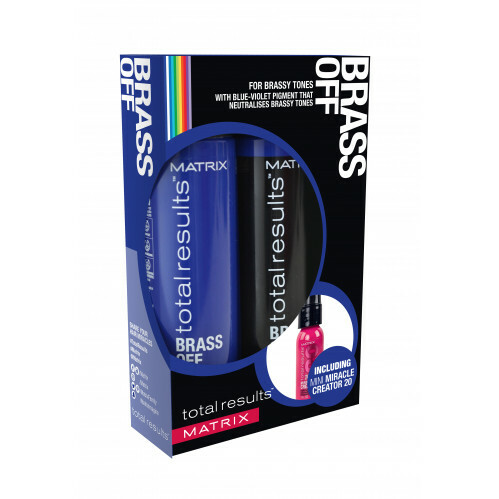 Perfect for those highlighted brunettes to keep your hairs dimensional colours lasting as long as possible whilst adding moisture and shine. 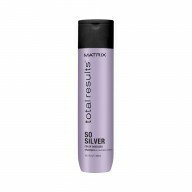 Give your hair an extra treat with the Total Results Miracle Creator 20, this lightweight spray will nourish, repair and protect your hair to prevent breakage and split ends.